Amazon has 23andMe kits on sale! 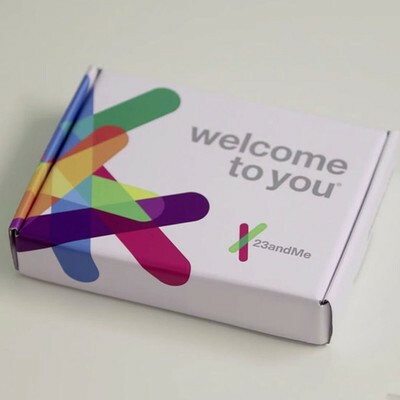 You can get the 23andMe Ancestry DNA Test for $69, when it normally sells for $88, or the 23andMe Health + Ancestry DNA Test for $139 instead of the usual $172 price tag. The $69 23andMe Ancestry DNA test will tell you all about where you come from. You provide a saliva sample and send it in to the company. Six to eight weeks after, you’ll get a detailed breakdown of your ancestry from 150+ populations worldwide. You can also upgrade to add health reports for an extra fee upon sending in your sample. If you’d like to learn about your hereditary health, then the $139 23andMe Health + Ancestry Test is what you’re looking for. Aside from telling you about where you come from, this uses a saliva sample to let you know about your health and wellness risks, as well as your carrier status for several diseases. It can let you know if you’re at risk for Alzheimer’s, hair loss, and more. If you’ve always wondered whether or not Dad was part caveman, these test for Neanderthal DNA as well. Give him this for Father’s Day and satisfy your curiosity (and cement a lifetime of jokes) once and for all.